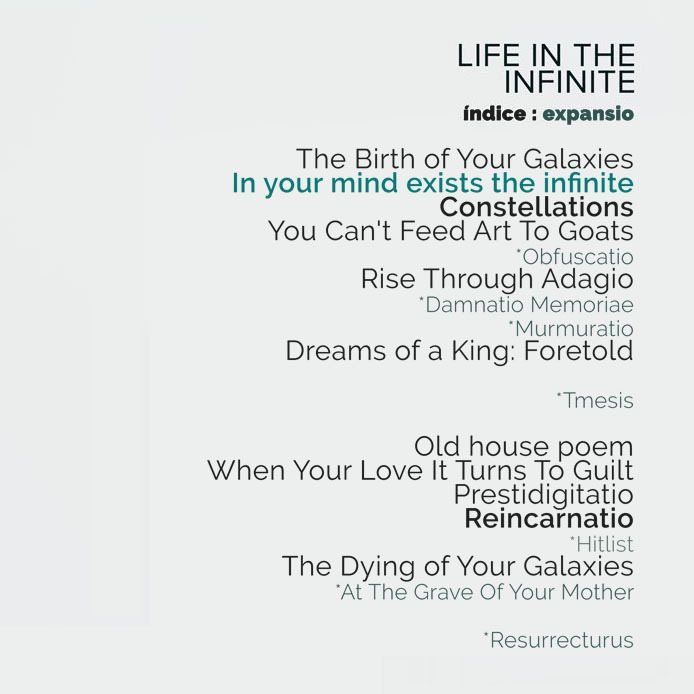 First off, I am happy to announce that the index for my first upcoming poetry collection for 2017, Life In The Infinite, is finally here. I’ve done preliminary releases of four of the free verses: Constellations, When Your Love It Turns To Guilt, Reincarnatio. and my personal favorite In your mind exists the infinite a few months ago. As mentioned a few dozen times ago, I have been writing for the past couple of months, pouring my heart and soul to what was supposed to be a short poetry pamphlet. Guess a lot of things got out of hand because now I’ve found myself with all these free verse poems, all which I love, and I would like to share them with the world, if I may. Once all out and published, parts of Life In The Infinite will be free to read on this website, available to download (also for free) and purchase on Amazon Kindle. Update : (August 13, 2017) Life In The Infinite now available to read. Click this link here.